The time is ripe for practical transfer learning to make inroads into NLP (Natural Language Processing). So in fact, this graph which was meant to show how well deep learning scales, indicates the exact opposite. 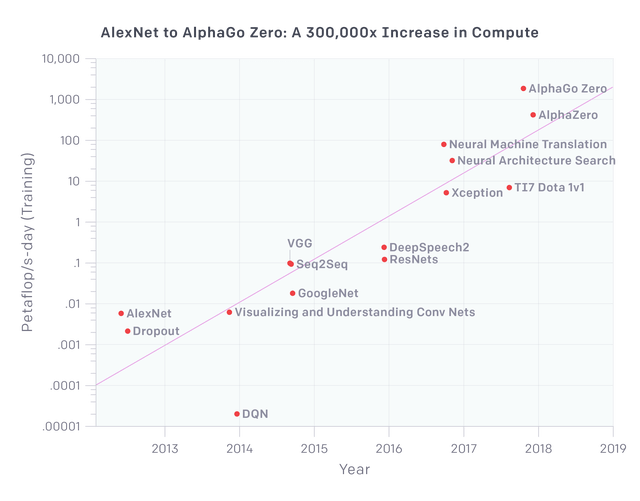 We can’t just scale up AlexNet and get respectively better results – we have to fiddle with specific architectures, and effectively additional compute does not buy much without order of magnitude more data samples, which are in practice only available in simulated game environments. What would be the impact on history of self-learning machines—machines that acquired knowledge by processes particular to themselves, and applied that knowledge to ends for which there may be no category of human understanding? … How would choices be made among emerging options?